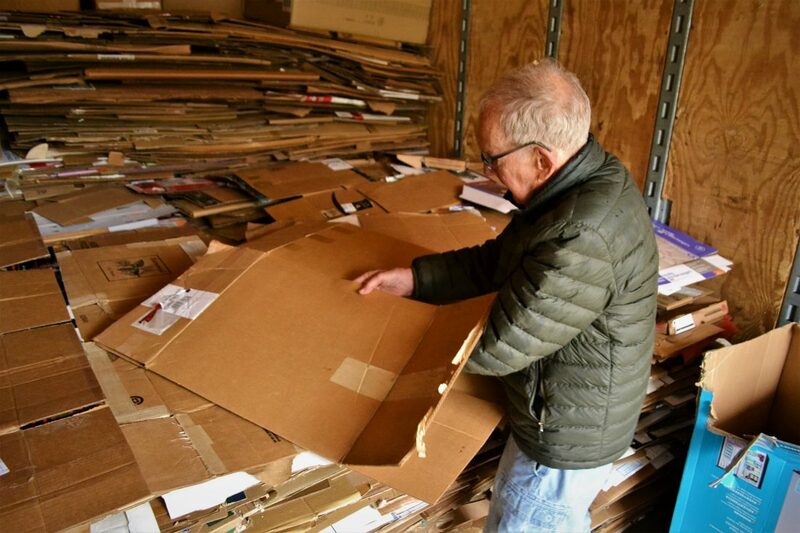 CHAD PLAUCHE-ADKINS The Marietta Times Brad Bond breaks down cardboard for recycling on Monday at the Marietta Area Recycling Center. A Noble County recycling drop-off site is expected to be closed and a New Matamoras site may follow, after waste officials say contamination of the sites with trash has not let up. In January, Robert Reiter, district coordinator for the SouthEastern Ohio Joint Solid Waste Management District, warned through public notices that recycling sites could be closed down if contamination continued. He said the problem has persisted. Reiter said that due to the lack of compliance from the public, the recycling drop-off site near Caldwell at Ohio 7 and Noble County Road 564 will be closed in April. Reiter said a specific date for the closure hasn’t been decided for the Caldwell site yet, but he is already looking at more potential closures in his district. 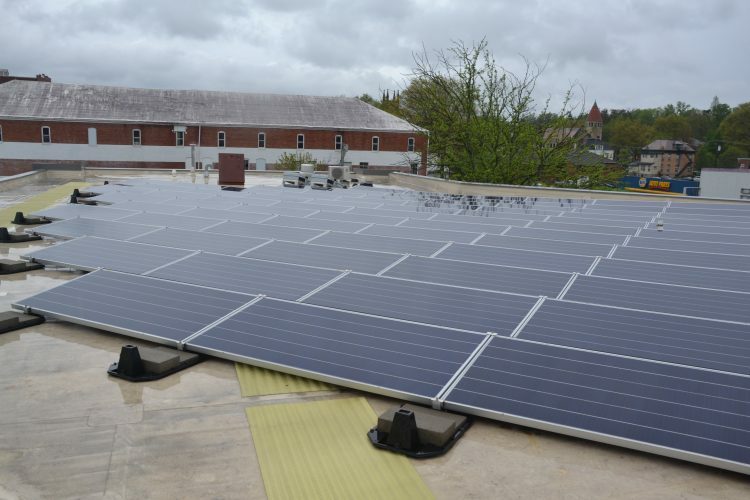 “We are looking at maybe shutting down one in Muskingum County and the New Matamoras site, too,” he said. Reiter said the other recycling drop-off sites in Washington County haven’t gotten worse, so they aren’t facing closure for now. The SouthEastern Ohio Joint Solid Waste Management District is a consortium of Muskingum, Guernsey, Monroe, Noble, Morgan and Washington counties formed in 1989 in order to decrease the amount of waste going into Ohio’s landfills. Reiter said the goal of his organization is being threatened by one main adversary. “We’re still getting a large amount of plastic bags,” he said. Reiter said people continue to use grocery and shopping bags to drop off their recyclables in, even though they break down sorting machines and cost his organization extra money. Reiter said the district takes its recyclables to Waste Management’s recycling center in Akron. He said the center only accepts up to 10 percent contaminated materials before fining the organizations dropping of the recyclables. “Our district averages 14.3 percent contamination,” he said. Reiter said the district pays $162 per ton of contaminated material in fines and transport costs. 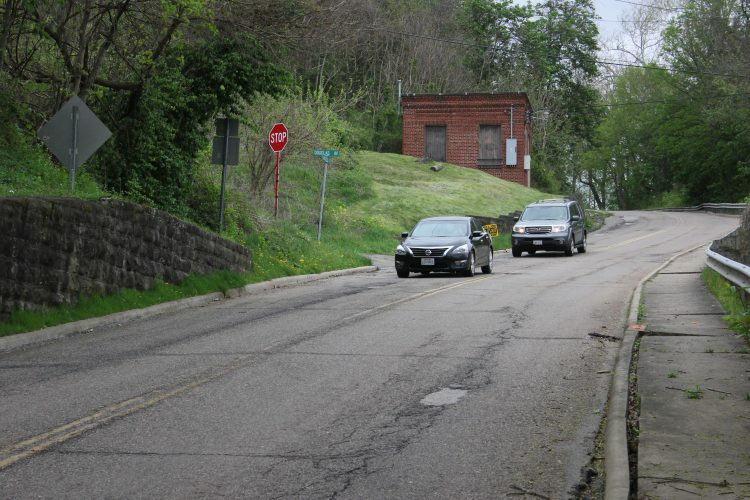 With an average of 300 tons a month being processed in Akron from the district, the approximate additional cost per year is more than $25,000. Reiter said monitoring drop offs and limiting drop off hours may be another answer to the problem. “We’ll pull the (recycling) trailer into the site for six to eight hours and then pull it out,” he said. Brad Bond, 89, of Marietta, a volunteer with the Marietta Recycling Center at 915 Gilman Ave., said contamination of bags is a problem at his site, too. “Us volunteers have to struggle with it,” he said. Bond said that the Marietta site does accept the plastic bags, but sends them to a different processing site to be recycled. “I believe we are the only site that does it,” he said. John Beary, 44, works in Marietta but lives in Mineral Wells, W.Va. and said he brings his recyclables to the Marietta Recycling Center about once a month on his lunch break. “It’s a little bit of extra work, but it’s better than putting all this stuff in the landfill,” he said. Beary said that if the closures end up affecting the Marietta Area Recycling Center, he would just take his materials to be recycled in Parkersburg. Even though that could be an option for some in Washington County, not having a recycling center closer would increase the time, money and efforts of people trying to help the environment. Reiter said people have been dropping off their recyclables in plastic bags for years, but those traditions need to evolve if people don’t want their service affected. “These are very old habits that need to be changed,” he said. •The recycling drop-off site in Caldwell near Ohio 7 and Noble County Road 564 will be closed due to excessive plastic bag contamination. •The New Matamoras and Muskingum County sites are facing potential shutdowns due to contamination. •The SouthEastern Ohio Joint Solid Waste Management District pays more than $25,000 a year due to excessive contamination in its recyclable materials. •Marietta Area Recycling Center, 915 Gilman Ave., Marietta. •Fearing Township: I-77 rest area. •Waterford Township: Beverly 1 at Ferry Street. •Waterford Township: Beverly 2 at Ferry Street. •Barlow Township: township garage lot. •Salem Township: barber shop parking lot. •New Matamoras: IGA/Amos car Sales parking lot. Source: Robert Reiter, district coordinator for the South Eastern Ohio Joint Solid Waste Management District.